It is my pleasure to welcome Regan Walker back to the salon with the first in a three part post regarding faith in Georgian England. Parts two and three follow on 13th and 20th January; I am sure you will find them as fascinating as I do! My purpose in writing this article was to dive beneath the form and ritual we often read about in the religious activities of Georgian England, and get to the hearts of the men and women living at that time to explore their beliefs and the meaning of their faith to their lives. I found it a daunting task, and finally decided the only evidence I could provide of what was in their hearts was to look at the actions that resulted from their faith (or lack of it). I approach this issue as a person of faith myself, hence I am not looking to discredit, but rather to shed light on what was happening to the church that influenced the people of England, both rich and poor, in matters of faith during the 18th and early 19th centuries. It is not my intention in this effort to duplicate the wonderful contributions of others who have looked into this subject. I merely want to provide interesting background for authors of historical novels and their readers who may want to know more. The early 18th century in England was an age of reason. The churches, such as they were, lacked vitality, perhaps in part due to the action of the government. I speak in general terms, of course, as there have always been exceptions. However, from what I’ve read, there was little enthusiasm for spiritual matters, perhaps as a reaction to the excesses of the 17th century. People were content with things as they were, and those few who attended church did so more out of habit or social custom. The aristocracy was expected to show a good example by attending church and some did, but perhaps only a few times a year on major church holidays. There were parishes where the poor had no church in which to worship and they wanted for spiritual leadership. In the middle of the century, a change swept England. It began, as such revivals always do, with a few who desired to grow closer to God. 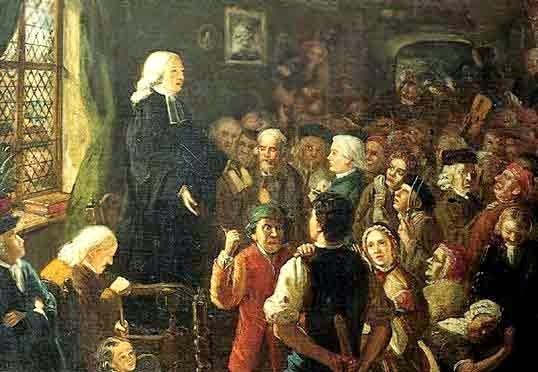 In 1729, a small group of men at Oxford began gathering under the direction of a man named John Wesley to observe the fasts and festivals of the church, take Communion, and visit the sick and prisoners. Wesley had made the love of God the central principle in his life. His efforts, and those of others, led to what became known as The Great Awakening, a movement that also swept Europe and the American colonies. It was to have great consequence. The “Awakening” produced powerful preachers who gave listeners a sense of their need for a personal faith in God for salvation from sin. Pulling away from the ritual and ceremony that brought people to church out of habit or social custom, the Great Awakening made Christianity intensely personal to the average person by fostering a deep sense of spiritual conviction and redemption, and by encouraging introspection and a commitment to a new standard of personal morality. John Wesley and his brother, Charles, and George Whitefield, all ordained in the Anglican Church of England, had been missionaries in the new colony of Georgia, but returned home in 1738 disillusioned and discouraged with their faith. They began attending prayer meetings on Aldersgate Street in London, searching for answers. During that time, all three had conversion experiences. (As John Wesley wrote, "I felt my heart strangely warmed. I felt I did trust in Christ, Christ alone, for salvation; and an assurance was given me that he had taken away my sins." –Journal of John Wesley, May 24, 1738.) With this newfound excitement and energy in spiritual matters the brothers began to develop guidelines, or “methods,” in seeking spiritual renewal. In 1739, John Wesley and George Whitefield began preaching the gospel outdoors to large gatherings. Wesley considered the whole of England as his parish, preaching to as many as 20,000 at one time in London. Thousands who had previously thought little of religion were converted. Although not his intention, Wesley’s message led to a new movement that would ultimately separate from the Church of England, called the Methodists. From the very start, the Methodists were concerned with personal holiness and emphasized the need for an experience of salvation and forgiveness of sin. Those who criticized the Methodists, such as the Duchess of Buckingham, complained of being held accountable for sin “as the common wretches.” John Wesley’s mission was to England’s poor, the unlearned and the neglected people. He had little time for the aristocratic rich, finding them idle, trivial, extravagant and lacking in social responsibility. Despite the focus of the Methodists on the poor and working classes, one of the converts at this time was the Countess of Huntingdon, who for the next 40 years was deeply involved with the leaders of the Methodist movement. The countess was born into aristocracy as Selina Shirley, both sides of her family being descended from royalty. Selina married Theophilus Hastings, the Earl of Huntingdon, in 1728. Notwithstanding her wealth and position, she found the typical social life of the aristocracy empty. Everything changed in 1739 when she converted to the Christian faith. Thereafter, she was determined to use her energies, organizational skills and wealth for the cause of the gospel. Within a short time she was identifying herself with the Wesley brothers and other Methodist preachers in the Church of England. This reflected great courage on her part because these itinerant preachers were despised by most of the aristocracy. To reach the aristocracy, the countess brought the leading preachers of the day into her home and invited her friends and acquaintances to hear them. A number of noble and influential people came to faith in this way. All of them were most likely members of the Church of England even before their conversion. In 1746, the countess’s husband died, and at 39, she threw herself into her work with even greater zeal. When she was in London, she held services in her home, inviting the evangelical preachers of her day to speak to her friends. In furtherance of her efforts, she leased properties in several strategic centres throughout the country and regularly held services there. She built chapels, too, for “her preachers” including one in Bath. 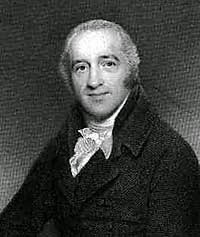 It is interesting to note that in 1748, John Newton, the slave trade ship captain and later author of the hymn Amazing Grace, was converted during a storm at sea. After he left his career as a ship’s captain, he became an enthusiastic disciple of George Whitefield and then an evangelical lay preacher. In 1757, he applied to be an ordained priest in the Church of England, though it took seven years for that to happen, owing to his lack of credentials. Meanwhile, in his frustration, he also applied to the Methodists, Presbyterians and Independents, which suggests he could have found a spiritual home with any of them. Newton’s newfound faith in God made a distinct difference in his life and the hymn for which he is famous testifies to this change (“I once was lost but now am found, was blind, but now I see”). Four years after John Wesley’s death in 1791, the Methodists broke with the Church of England, though it was never Wesley’s desire and he argued vehemently against it. Still, he is credited with the revival of personal religion in England and the Methodist movement. At the end of the 18th century, a group of wealthy Anglican Evangelicals came together, most of them living in the village of Clapham southwest of London, to campaign for an end to slavery and cruel sports, prison reform and foreign missions. They were dubbed “the saints,” a name which no doubt amused them, since according to the Bible, all believers are “saints.” They were an illustrious group: Henry Venn, rector and founder of the group; John Venn, rector and the founder’s son; William Wilberforce, friend of both John Newton and Prime Minister William Pitt, and the statesman who successfully fought against slavery; Henry Thornton, the financier; Charles Simeon, rector at Cambridge; Granville Sharp, a lawyer and founder of the St. George’s Bay Company, a forerunner of the Sierra Leone Company; Zachary Macaulay, estate manager and Governor of Sierra Leone (established as a homeland for emancipated slaves); John Shore, Lord Teignmouth, formerly Governor-General of India; James Stephen, lawyer, Wilberforce’s brother-in-law and author of the Slave Trade Act of 1807; Charles Grant, Chairman of the East India Company; and Hannah More, poet and playwright, who produced tracts for the group. They are not their own: their bodily and mental faculties, their natural and acquired endowments, their substance, their authority, their time, their influence, all these they consider. . .to be consecrated to the honor of God and employed in His service. The Clapham group certainly put their faith into action. One of their primary concerns was foreign missions, taking seriously Christ’s command to “go and make disciples of all nations.” Among their achievements: the Religious Tract Society founded in 1799; the Society for Missions to Africa and the East (now the Church Missionary Society) founded in 1799; and the British and Foreign Bible Society, founded in 1804. The latter circulated the Bible in England and abroad. With funding from the Clapham group, Hannah More established twelve schools by 1800 where reading, the Bible and the catechism were taught to local children. She also wrote ethical books. Sunday schools arose in the 1780s teaching Bible stories to children. It was the idea of Robert Raikes, the curate of Mary le Crypt Church in Gloucester. His purpose was to teach local children to read and write. The idea spread rapidly; by 1797, there were 1,086 schools in England teaching 69,000 children. Hello, Catherine! Thanks for having me on your blog and for letting me tell the story of Faith in Georgian England. My hope is others will be amazed at what was going on in the minds and hearts of people in England at the time as regards their view of God and their faith. It's a pleasure and such a fascinating topic! Catherine, John Wesley was not quite the peaceful type of person portrayed here. There was much of the Cromwellian 17th century in him. He did write that it was a bad thing that witch hunts and the burning of witches had been banned, thus being ready to turn back the clock on the Enlightenment. However, science, philosophy, and exploration all were keeping the minds of mankind open. He tried to bring back the parochial and its attitudes. I really do not admire him at all. Thank you for your comment, Julia; I've invited Regan to respond and hope you won't mind if I also pass it on to my friend who is writing on the history of witchcraft! Julia, I was not aware of that tidbit, but I do know that many godly men had beliefs, not essential to their basic Biblical beliefs, that we would not agree with today. That does not take away from their adherence to the true doctrines of the Christian faith or what they did to spread the good news of grace. John Wesley stands as a beacon in an otherwise dark time in England's history of faith and he did much good for the poor. 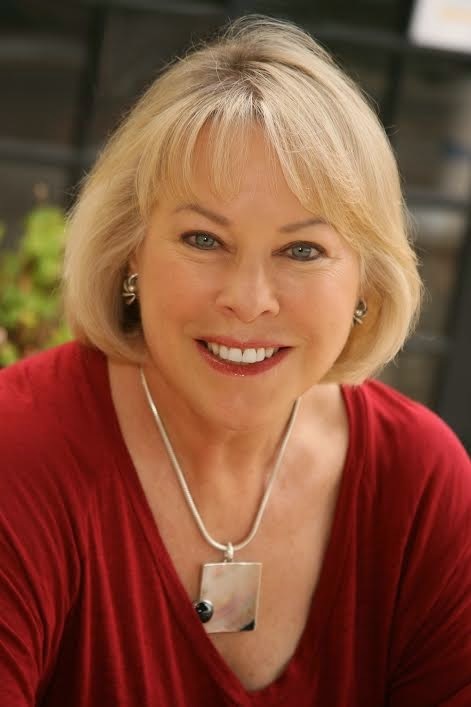 What a wonderful resource your blog is Catherine, thank you. I have finished my first MS, set in 1833, and my protagonist is a Scottish Catholic who falls in love with an English peer. This research has being fascinating and it, literally, took me all the way from Sydney, Australia to the UK last September. Just as I will continue to enjoy all your blogs, I am keen to read Regan's other two on this topic. Thank you Therese! Your book sounds really interesting and I'd love to know more about your research. If you would like to discuss sharing it with readers as a guest post here, do let me know! Thanks for taking an interest in my subject of Faith in Georgian England, Therese. The 3rd part of my article reaches the period in which your story is set.